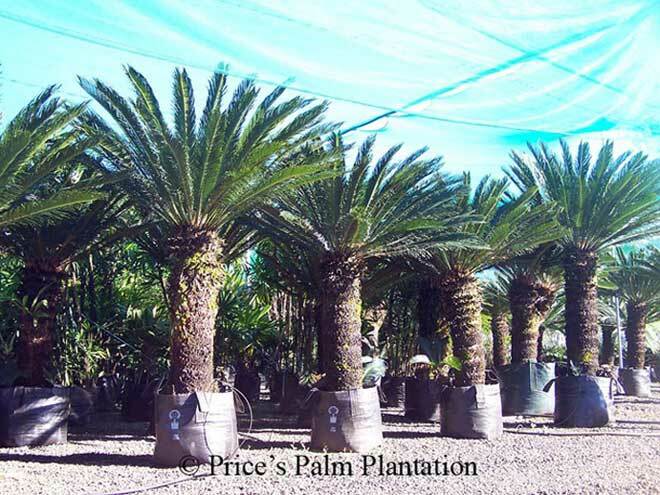 Price's Palm Plantation has the largest and oldest collection of cycas revoluta in Australia. 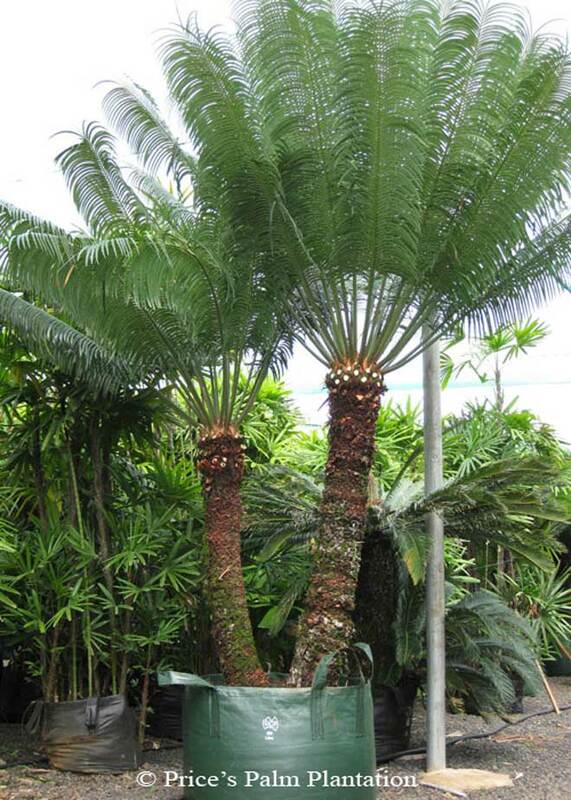 We have the largest collection of Tiger Cycads outside of their native Japan. 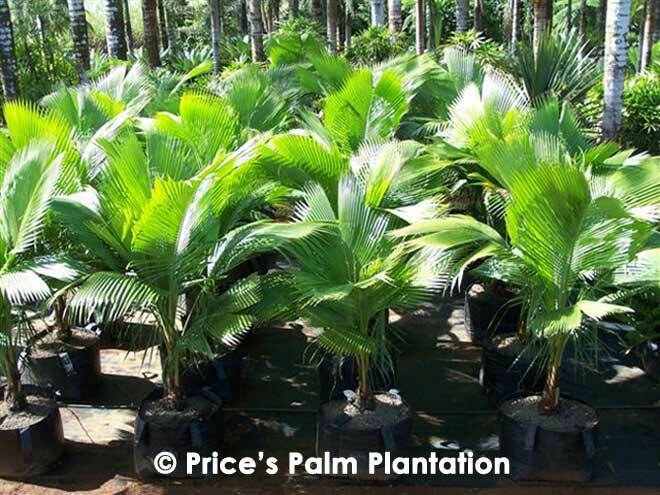 Price's Palm Plantation is pleased to offer a high quality selection of feature palms, pandanus and cycads at competitive wholesale prices to the trade. We do not sell to private buyers although bulk orders for personal shoppers may be considered. Please note our minimum wholesale purchase is $500 + GST. Terms are payment in full with order. 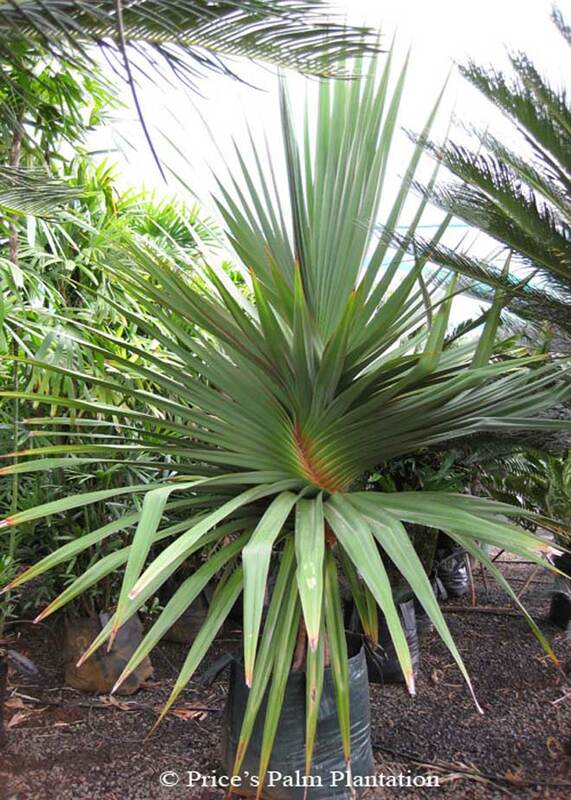 Beccariophoenix madagascariensis The Rainforest Coconut Palm, a rare and beautiful Madagascan native, perfect for most climes. 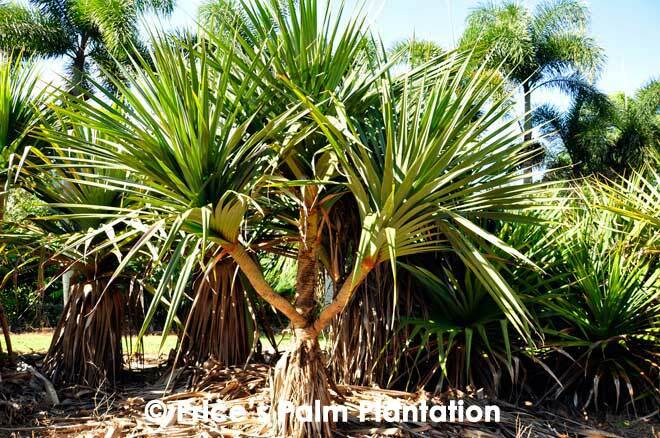 Once mature it attains the classic coconut palm tree look without the dangerous nuts. 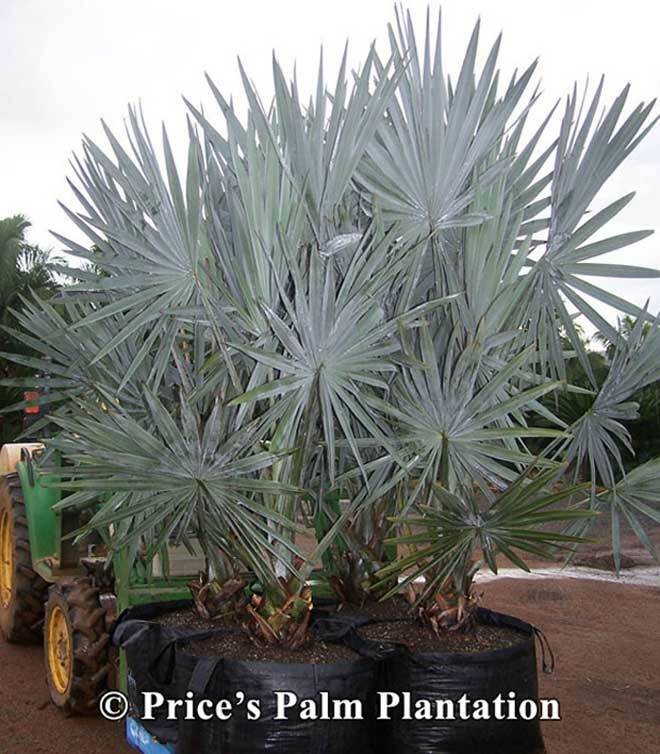 Bismarkia nobilis The striking silver blue variety, these are solid sungrown plants, somewhat oversized and very healthy. They are all grown on plastic in planter bags so that planting out or potting on can be done without damage to the sensitive roots. 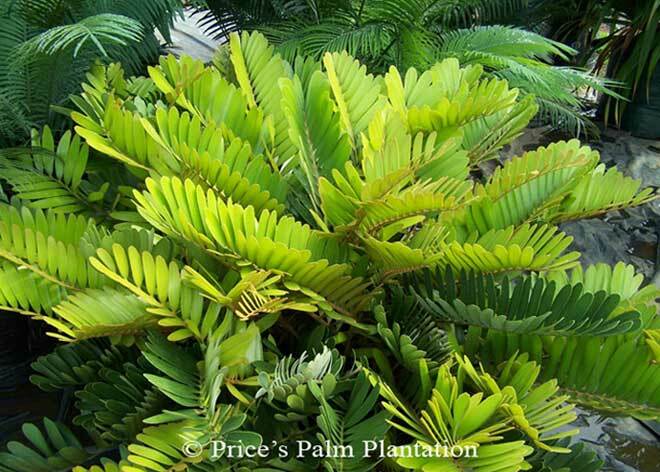 (Zamia furfuracea) The stiff leafed mainstay from Mexico is a drought resistant, great value, sun grown cycad. 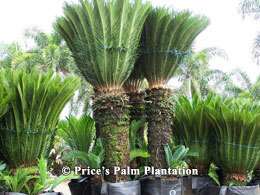 The evergreen popular cycad, hardy, waterwise and beautiful. One of our specialities are the stately large revolutas all grown here on site for 25 years. We have a grand selection of 1.2m+ clear trunk exground re-established specimens in extra large bags with carry handles. Single, double, triple and multiheaded, straight trunked or curved, with or without suckers. Cycas thouarsii Quite possibly the worlds' fastest growing cycad flushing up to 6 times a year with tall dark bluish-green foliage. Lipstick Palm The most brilliantly coloured palm in the world, slow growing yet sought after and coveted by those not fortunate enough to live in the tropics where these beauties will only grow. 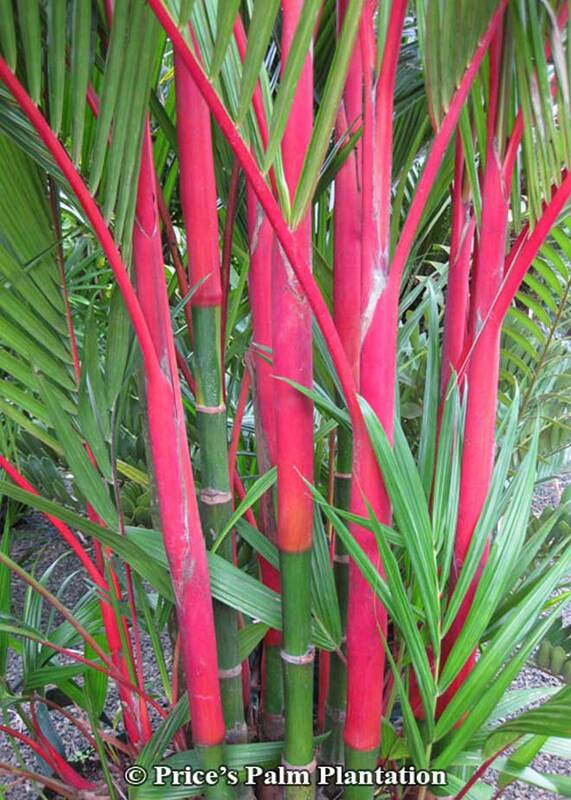 (Red-edged Pandanus) A beautifully coloured pandan from Madagascar, fast growing and waterwise with brilliant foliage. 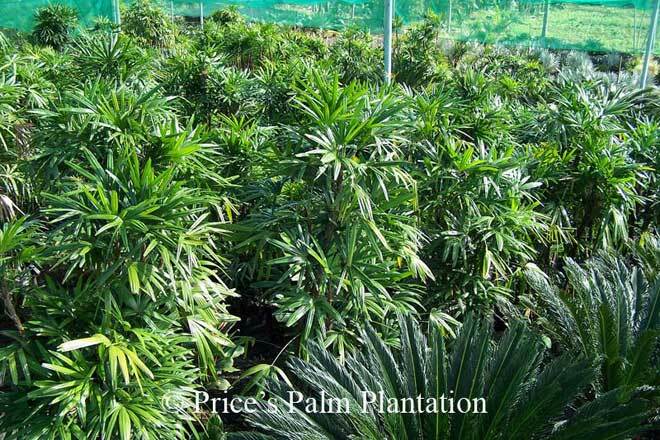 Rhapis excelsa The ultimate in prestigious indoors palms or as an understory feature par excellence. 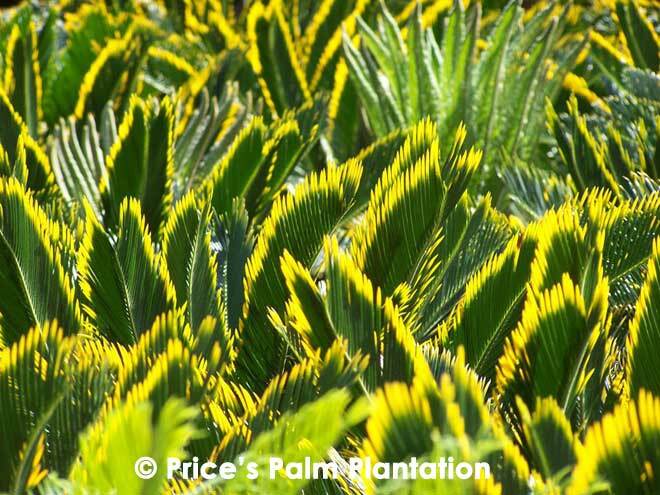 The gilt-edged Tiger Cycad (Cycas revoluta var. 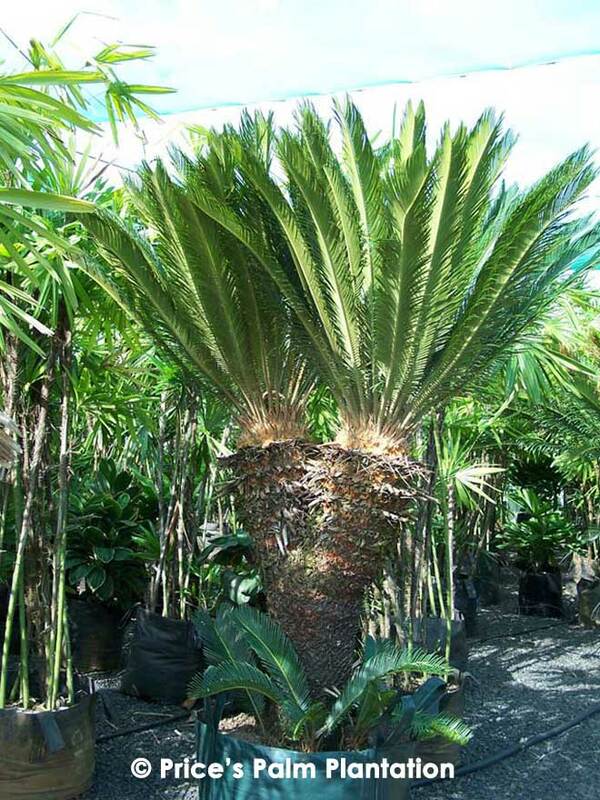 aurea) has the same growth and climatic tolerance as the common green Cycas revoluta yet it is aesthetically stunningly superior. It can be grown indoors or in full sun. It is both water wise and hardy. 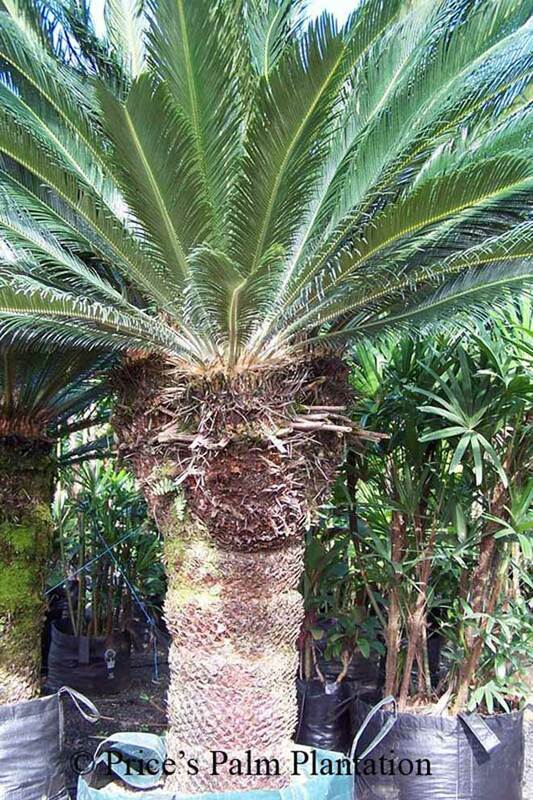 It is the jewel in the crown of any cycad collection. * All Prices on this website are in Australian dollars and do not include GST. L denotes litre (ie) soil capacity of planter bag. Transport can be readily arranged to suit your requirements. We are wholesalers and only supply in wholesale quantities to the Trade. Minimum wholesale purchase $500 + GST. Payment in full with order. 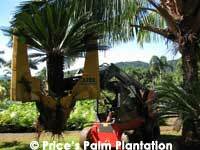 Upon ordering exground stock Price's Palm Plantation requires payment in full prior to commencement of digging. 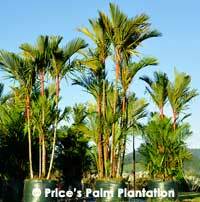 Price's Palm Plantation will arrange transport for nursery or exground stock from our premises to virtually anywhere in Australia. We use only reputable and experienced movers and our staff always oversee the entire loading process. However, our responsibility ends when the goods have been loaded.